A new chapter in the life of the landmark former York Road Library begins, as the development company behind its remarkable transformation hands over the keys to make way for a new state of the art gym and fitness centre. Award winning Leeds based property company Rushbond has led the comprehensive programme to bring back into use the Grade II Listed building, alongside the development of a new contemporary extension to complement this historic Leeds asset. Leading low-cost gym operator, The Gym Group, is now carrying out a full internal fit-out of the 16,000 sq ft development, comprising of fitness suites, weights rooms and studio space, leading towards the formal opening later in the summer. The Library was originally designed for Leeds City Council by Architects HA Chapman and opened in 1903. 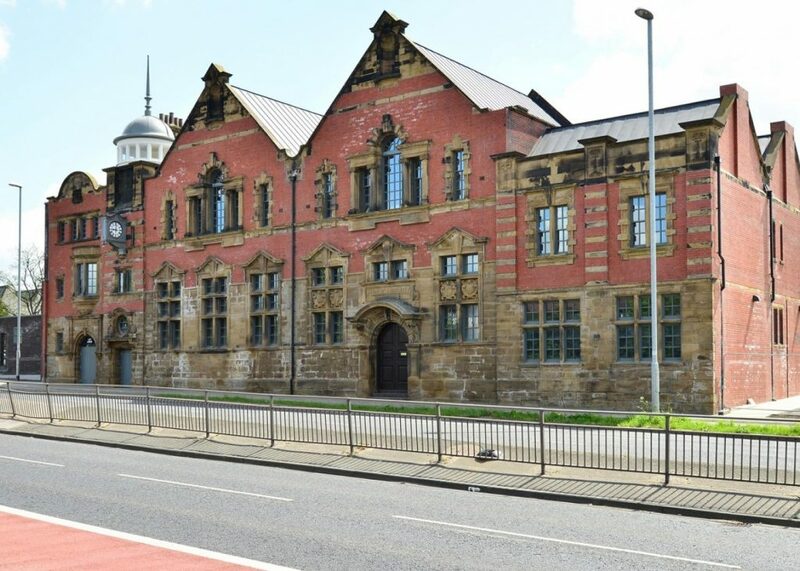 On a key strategic gateway into Leeds City Centre, the stone and brick building, with its grand elevation onto York Road, had sat empty and unused since the Library closed back in the 1970’s. Mark Finch, Director of Real Estate from Rushbond, said: “This is a much-loved Leeds icon, which holds memories for so many people including local residents and all those who visited the Library or went to the baths for their school swimming lessons! “Finding new and suitable uses for such historic assets is often challenging and particularly when it’s important to remain true to its heritage, but in many respects a gym is an ideal use and the building can once again contribute to the health and wellbeing of the local community.